WhatsApp is rolling out yet another beta update bringing the version number to V2.18.159. This update hints at two new features; new contact shortcut and media visibility. The new Media visibility feature allows you to choose the visibility of shared media. 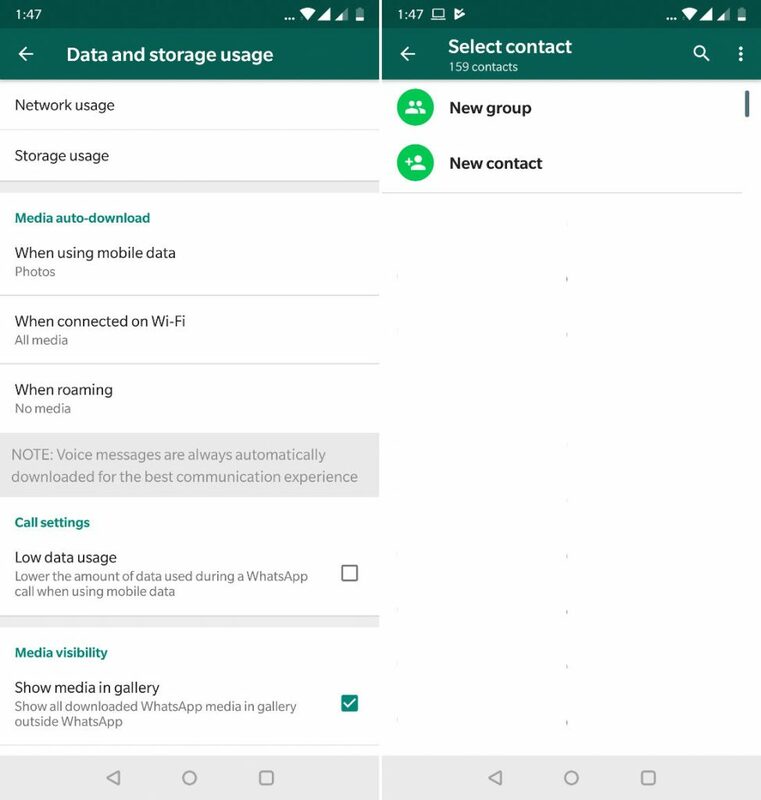 You can modify the settings from WhatsApp Settings, Data and Storage Usage, where you will have a new option called Media visibility. Enabling this option will show all the downloaded media in a gallery outside of WhatsApp. Disabling this will hide the downloaded media in the gallery which is obvious. While you can see the media within the app, it won’t be visible in the gallery. This might not be available for everyone yet. Next on the list is the new contact shortcut, addition to new group, similar to the WhatsApp for iOS app that is available on Android as well. Pressing this shortcut will help you in quickly creating a new contact. If you are a WhatsApp beta tester, you can download the update from Play Store or from APK mirror here.